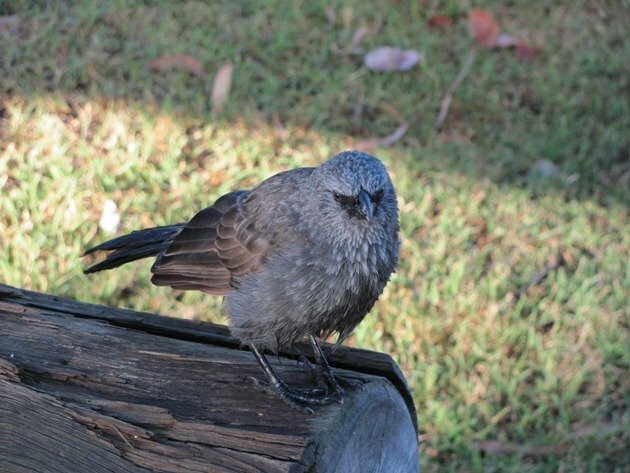 On our recent visit to Queensland we encountered Apostlebirds Struthidea cinerea firstly in Biggenden and then in numerous locations as we travelled west. 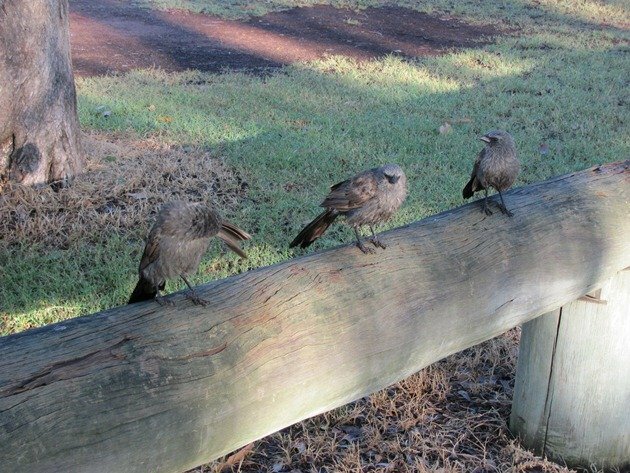 We had last experienced this cheerful family of birds in Katherine in the Northern Territory over 13 years ago, so although the population is isolated there they had the same characteristics. 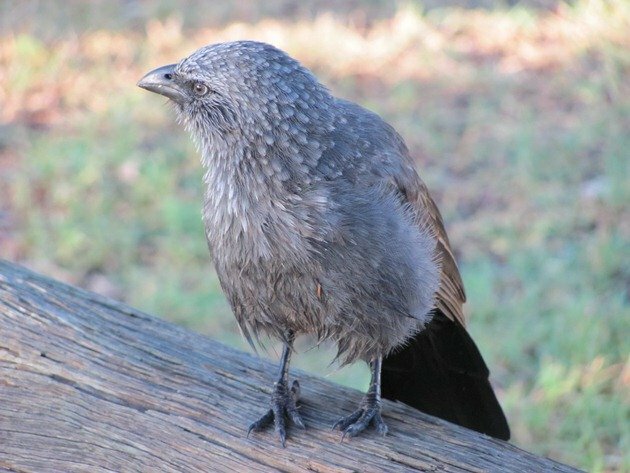 They roam in family groups varying from eight birds upwards and have a certain confidence about themselves as they strut around the bush. At the campsite in Biggenden the manager called them “Happy Jumpers” and that really does describe them perfectly. 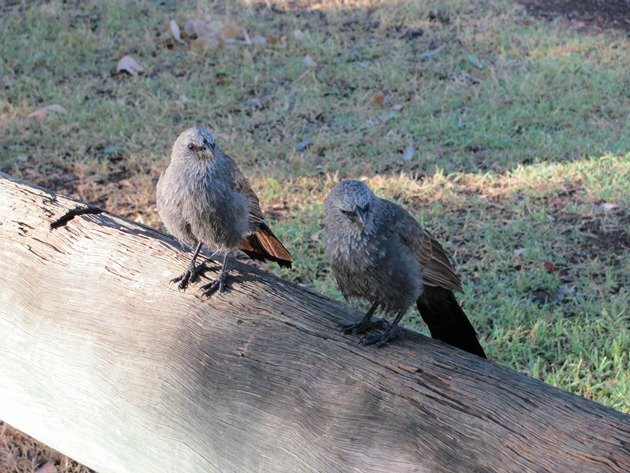 They are inquisitive birds that will take an interest in human activity and seem to have no concerns. 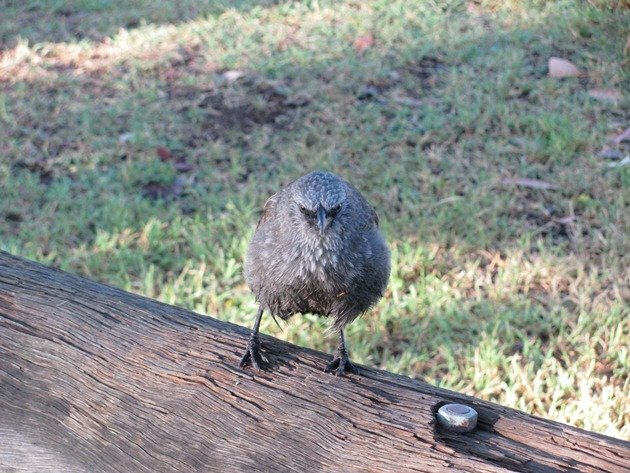 On a miserable wet morning we headed south from Eidsvold and reached Lake Broadwater Conservation Park to rain that was easing. 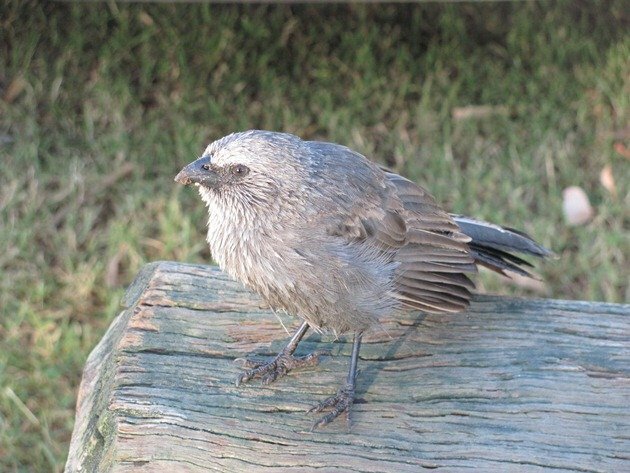 We were feeling a bit miserable not being able to bird much beyond the car that day, but we were greeted by a family of Apostlebirds who attempted to cheer us up. They had got a lot wetter than we had all day and were drying themselves on the wooden poles surrounding the camping area. 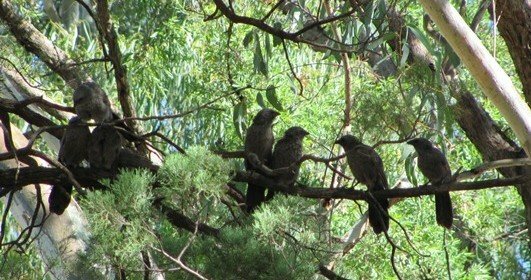 They were quite happy to be photographed as they moved around our camping area and were amusing to watch. 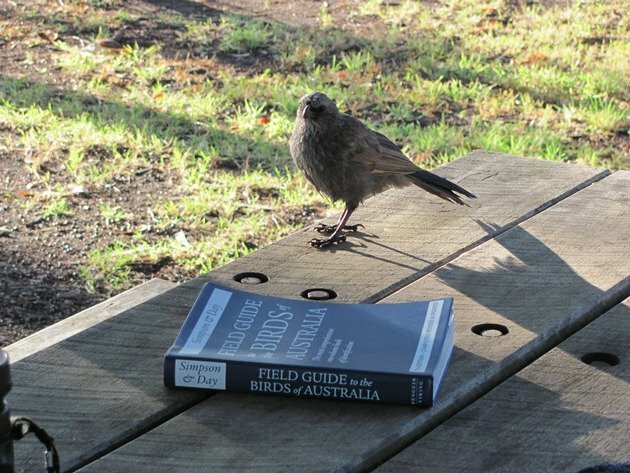 They even ventured onto our table to see what field-guide we were using that day. We had the most waterproof one with us for obvious reasons! 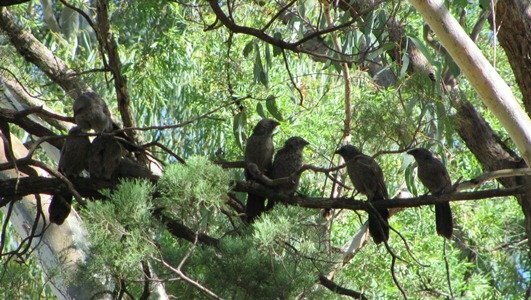 We own at least one of each field-guide available for Australia as the information and drawings in each is slightly different and each has its benefits. When you travel by plane to an area that may be damp you have to consider which is the most waterproof! 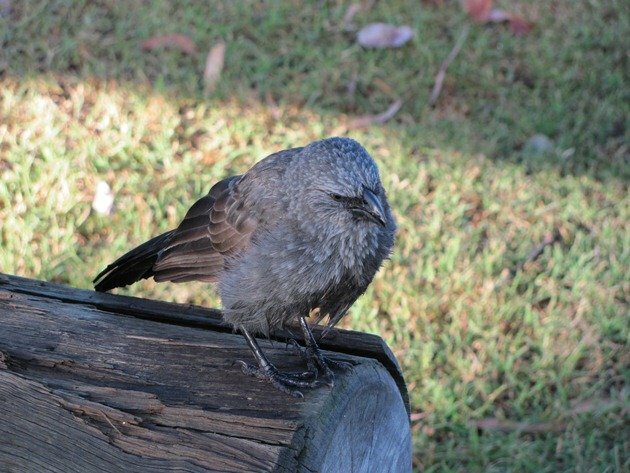 When driving around Queensland we were also extra cautious if one of these birds was either close to the edge of the road or crossed the road. We slowed right down as we knew there would be several of the birds present and being the fearless birds they are we didn’t want to collect them on the front of our car. 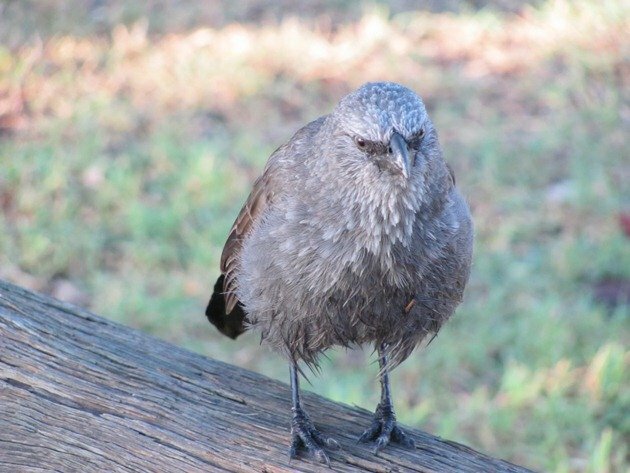 If you ever need a bird species to cheer you up on a wet day then this is the one! 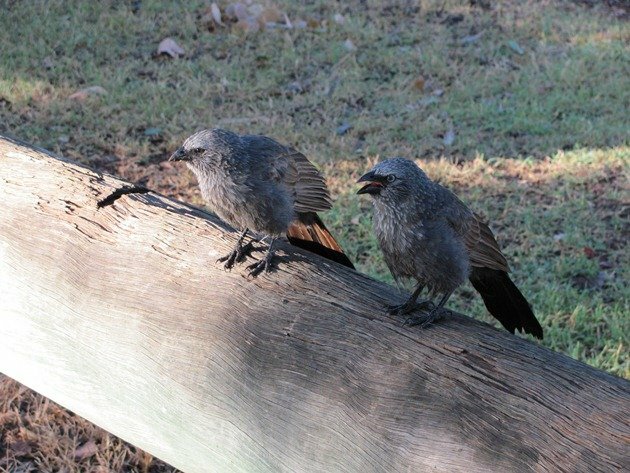 Another option are the hilarious Grey-crowned Babblers, which literally bounce around in a flock chattering away to themselves and anyone else that will listen.